With festivities in the air people are getting into the Diwali spirit, houses are lit up, families are cleaning their homes, preparing delicacies and shopping for the best gift to give their loved ones. But this Diwali is also about going green. So whether it is decorating the house or bursting crackers, the idea is to look for eco-friendly options for every aspect of the festival. 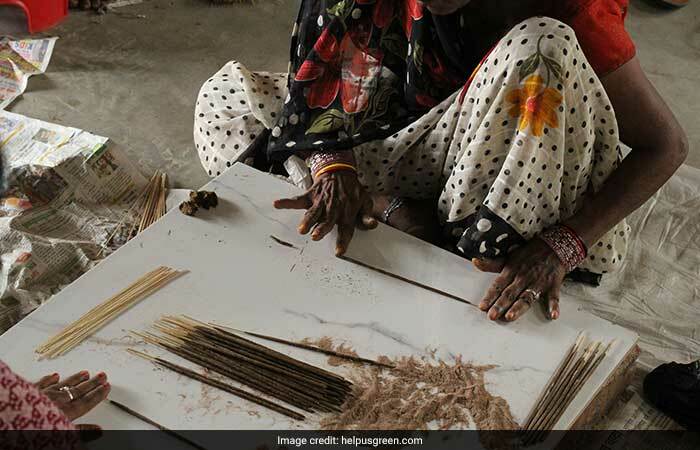 So how about trying out incense sticks made from floral waste? 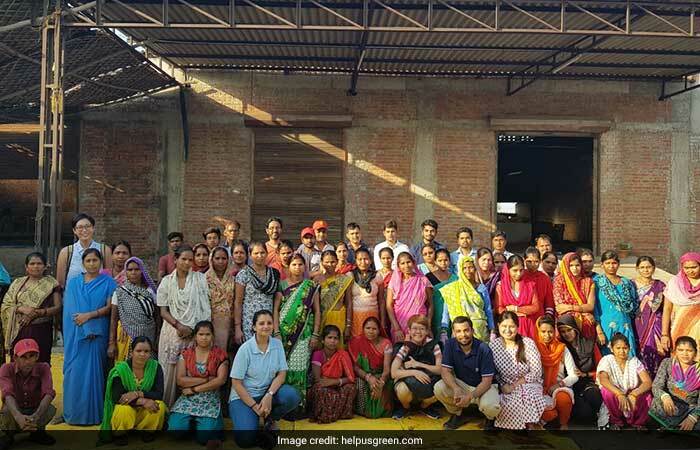 Kanpur-based HelpUsGreen, a social enterprise started by two best friends Ankit Agrawal and Karan Rastogi in 2015, collects around 3,700 kilos of floral waste daily from 59 temples and 9 mosques in the city. 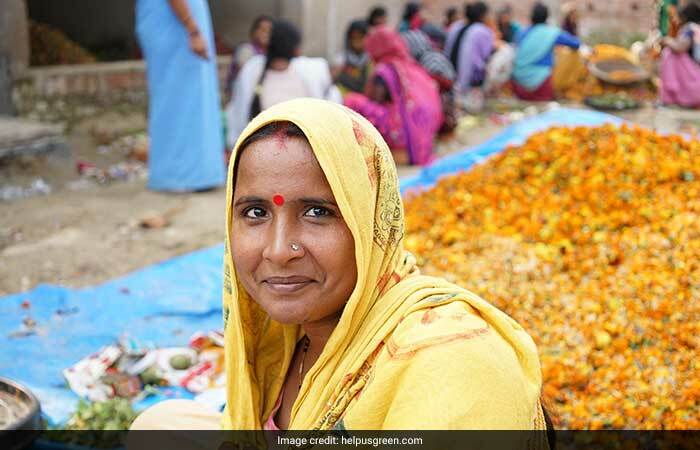 HelpUsGreen reuses floral waste for three different purposes - incense sticks, packaging material and vermicompost. The dried petals are powdered and mixed with natural plant resins and a special kind of sauce is added to make a dough. The dough is hand rolled in shape of incense sticks and cones and are again kept for drying. The dried sticks and cones are then dipped in essential oils, milk and honey. The final product is packed in a gift box that is made from recycled Kraft paper. Along with the box, the organisation also gives out handmade organic cotton tote bag to spread the message against plastic pollution. The eco-friendly incense sticks make for a perfect Diwali gift for several reasons. 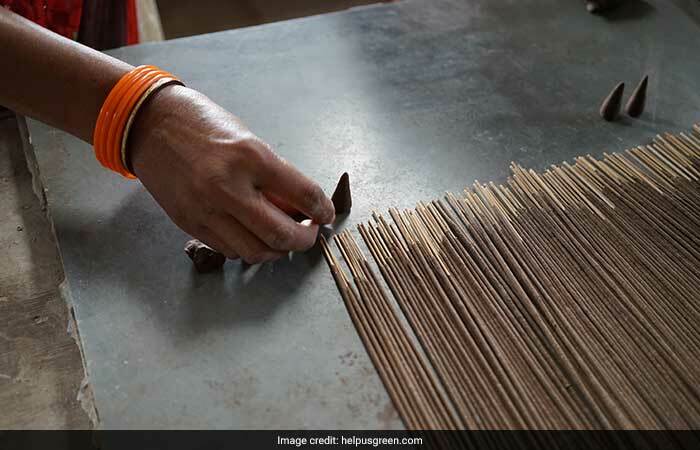 For one, it replaces the conventional incense sticks that emits toxic pollutants. According to scientists at South China University of Technology, the smoke from incense sticks can lead to chronic diseases like asthma. 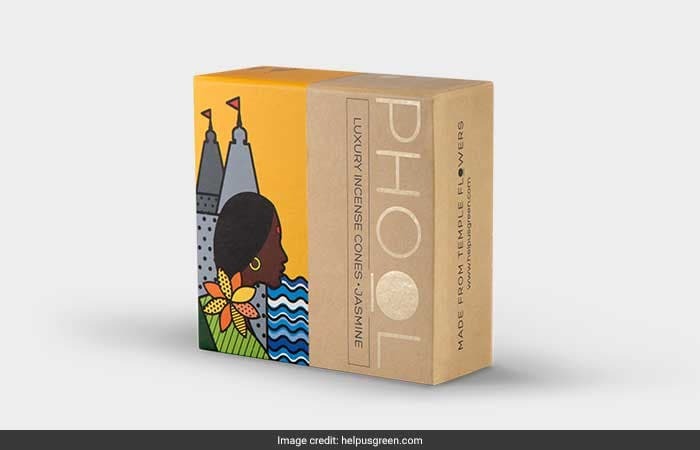 Another reason to opt for these incense sticks is the pollution in river Ganga. 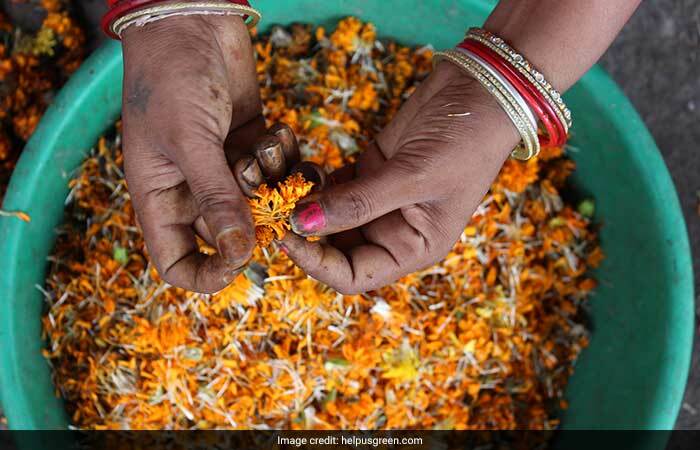 Millions of people discard flowers from rituals and aartis directly into the mighty river. The sacred flowers rot and create a havoc in the fragile ecosphere of the water body and leach into the groundwater. By switching to eco-friendly incense sticks you are indirectly preventing the floral waste from polluting the river. The incense sticks can be purchased from HelpUsGreen website and the cost ranges between Rs 105 and Rs 165. Though manufactured in Kanpur, the organisation provides free delivery service across India.